Tri-Med Staffing, Inc. will help you enroll in the CDPAP program if you are in need of home care, and want someone you know to be compensated for being your caregiver. We are a CDPAP Agency in NY serving Queens, Manhattan, Brooklyn, Bronx, as well as Suffolk and Nassau County. If you are seeking employment as a caregiver for someone you know or love, Tri-Med Staffing can help you as well. We makes getting the benefits of the CDPAP program easy, helping you determine your eligibility, and streamlining the enrollment process as much as possible for you. 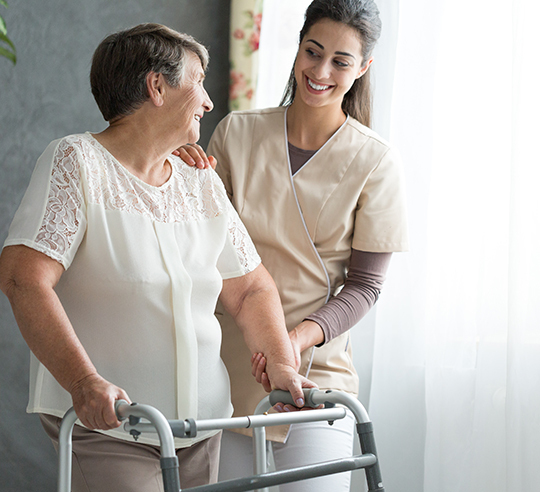 CDPAP stands for “Consumer Directed Personal Assistance Program.” This highly beneficial Medicaid program allows consumers of Medicaid to take their home care services into their own hands, and hire the personal assistant of their choice. The program allows consumers to choose any number of personal relationships to be their at-home caregiver including a family member, neighbor, friend, or child. Spouses however are not eligible for the program. To get enrolled in the CDPAP program, the personal assistant simply needs to be eligible to work in the United States. TRIMED staffing serves as your fiscal intermediary, which means that all of the billing and payroll processing will be taken care of by our team. You as the consumer will have full control over, recruiting, hiring, and training your chosen personal care assistant. Scheduling, supervising, and terminating the personal assistant is also the responsibility of the consumer. If you have any questions about the CDPAP program, call us today at 347-727-7200 to receive a free consultation. We are located at 16-12 CENTRAL Ave, FAR ROCKAWAY, NY, 1691. If you are looking for a CDPAP Agency in NY, make an appointment with our office. Our office is open Monday to Friday from 9AM to 5PM, and we are happy to assist you with any questions you may have concerning enrollment in the CDPAP program with TRIMED Staffing.